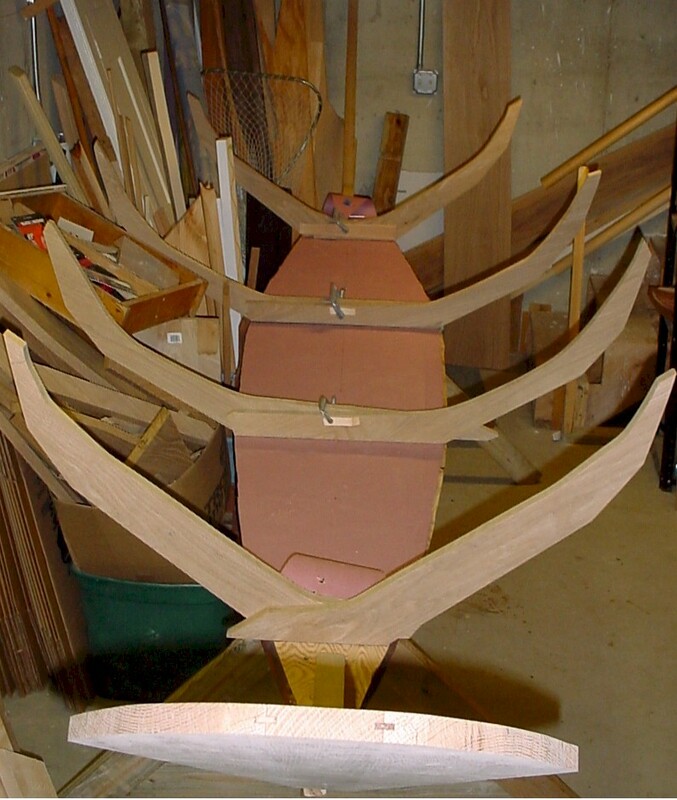 I have been building a boat in my basement. It's a lot like golf in that it sounds like fun, but is an exercise in frustration. The main difference is that in the end, I'll have a boat. To make it float, a lot of parts need to come together perfectly. Little tricks, properly executed, save countless hours, minimize frustration, and produce beautiful results. They are usually simple, involving things like tracing a line beyond the edge of the piece, cutting wide on outside edges and tight on inside edges, and remembering to account for the thickness of the wood when laying out the ribs. I also have to remember not secure the pieces permanently together, until I move it from the basement to the garage. When starting your analysis of commercial real estate, or any venture, it's critical to think it through before you start investing time, money, credibility, or anything you value. One technique is to visualize a process from beginning to end, talking through what will happen, and what is expected. This simple process, used by the Blue Angels before every flight, helps avoid mishaps. Give it a shot. You might look silly doing it, but it beats forgetting to prepare a critical component of your plan. source across geographies will not provide consistency as very few firms are able to enforce standards in all markets as each market may have its own accepted styles. adjustments for the differing methods. You can spot them easily by comparing the local market reports, to the national reports. If they are the same, you should be suspicious. Some of the larger firms attempt to produce reports using a single set of standards across all markets. One example is the CBRE U.S. Office Vacancy and Industrial Availability Indices. These reports use well enforced standards to provide a true cross market comparison. While they only release a narrow set of variables at the market level, they are quite valuable. Users experience difficulties finding or creating long time series. Most available reports release only current period data in numeric form with graphs showing a limited history. These are designed to show off the power of the firms' internal data, available to their brokers and clients, without actually releasing it to the broader audience. Occasionally you can tap into detailed data by request, but expect to spend some time. Don't be upset if your request is denied. After all, these firms spend millions collecting and analyzing the data for their clients' competitive advantage. You can try to create a longer time series by obtaining older editions of the reports and piecing together the data. But be warned. Check carefully for changes in methodology with each edition of a report. The firms make changes to the reports which break the free time series. For Example, the CBRE Indices switched the building sets used several times over the thirty year history of the report, most recently in the 2009Q1 editions. Formulae using a time series of vacancy from that report need to account for the shift. CBRE did an excellent job in alerting users to the change. Others are not so forthcoming. That's why you need to take the time to read the reports completely, along with any release notes, and compare the graphs to prior editions to see if there are any unexplained shifts in levels. If the numerical observations obtained from a prior edition of a report don't seem to line up with the graphed numbers in a more recent edition, that's a clue to a shift in methodologies.